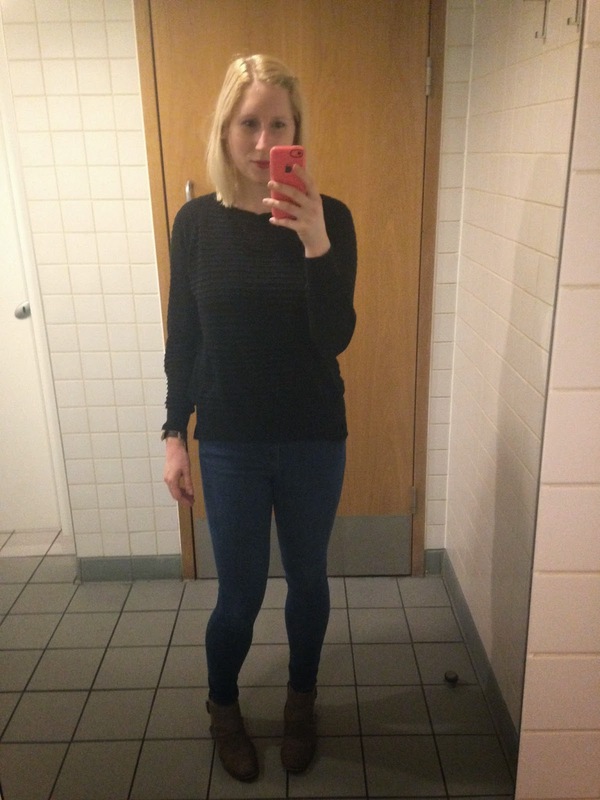 I have been looking for this thin black jumper from COS for months! 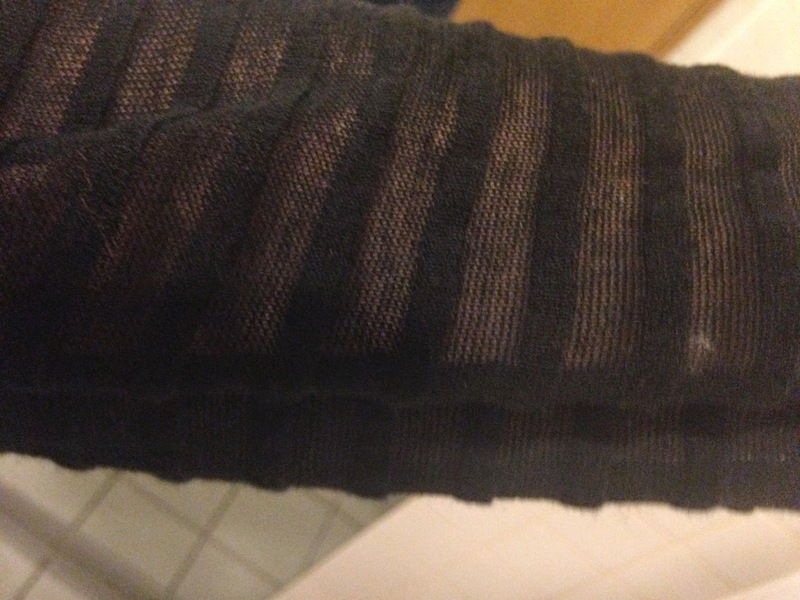 It has a really cool stripy detailing with opaque and see through fabric and I used to wear it all the time until suddenly it disappeared and I just couldn’t find it in any of the usual places, so I got on with wearing other clothes and I finally found it mid-week hidden between my wash basket and the wall!!! So I might be wearing this a lot now to make up for those past months. I wore it with my blue Asos jeans, a black COS tee underneath and my New Look suede boots. 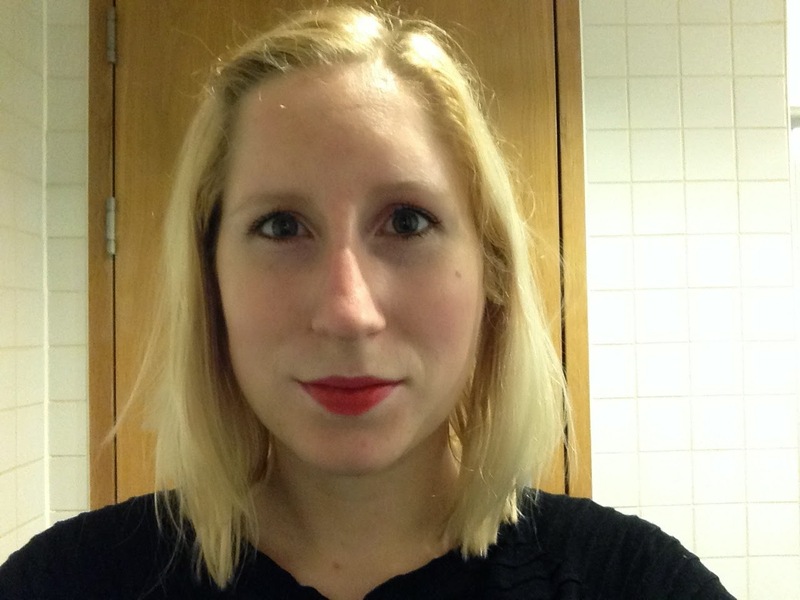 For hair and makeup I twisted a front section of hair and pinned it back and put on some Rimmel with Kate Moss red lipstick. 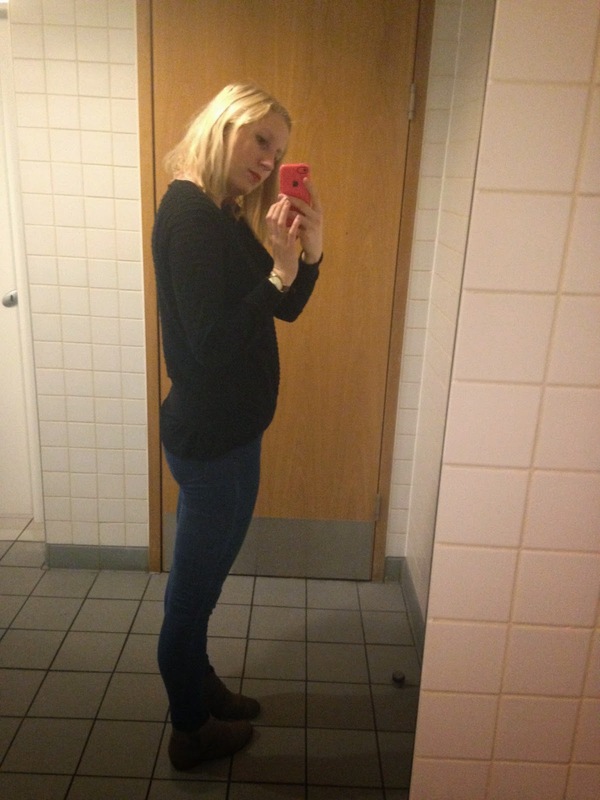 What I Wore … 1st May 2014!!! !